On Canary Islands there's always the Sun! Let's go to Tenerife for the end of the summer! Enjoy the beautiful Tenerife, a Spanish island belonging to the Canary Islands. The unusual atmosphere of the place creates very good conditions for freediving. In the deep blue of the already available near the shore, there is a chance to meet living there a variety of sea creatures such as sea turtles, and even dolphins and whales passing by. want to take part in the open waterl trainingApnea Academy Outdoor Freediver or PADI Freediver and get an international freediving license. have knowledge and have experience in breath-hold diving to a depth (knowledge and skills shall be assessed by the instructor). All classes are taught by certified international instructors of freediving. sunbathing, exploring the island and the surrounding area (Santa Cruz, Los Cristianos, Puerto de la Cruz). Price: 390€ registration before 15.07. After completion of the training, it is possible to obtain a license of Apnea Academy Level 1 Outdoor Freediver (20€) or PADI Freediver (25€). 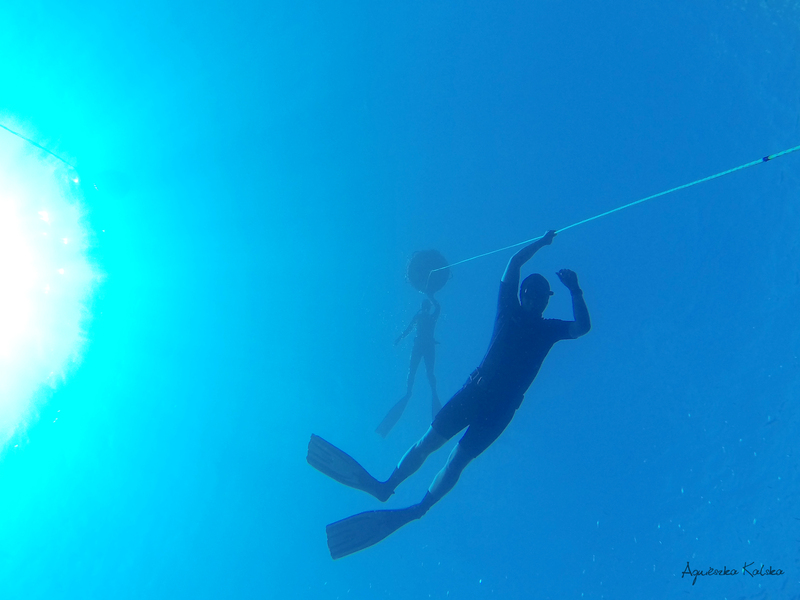 The opportunity to improve and develop freediving skills, practice equalization and diving techniques with lines with supervision of the freediving instructor. Group session: 2 person - 4 sessions - 120€/pp. Group session: 3 person - 4 session 100€/pp. *The price includes diving place set and does not include fees for the use of the diving base facielities. Training individual or in groups adapted to the skills of the participants. For more information please send us a message. – PADI Freediver license and 'Touch' materials for the participants of the course. It's possible to rent equipment in the freediving center in Tenerife. In a case of issues with the equipment, please contact us. 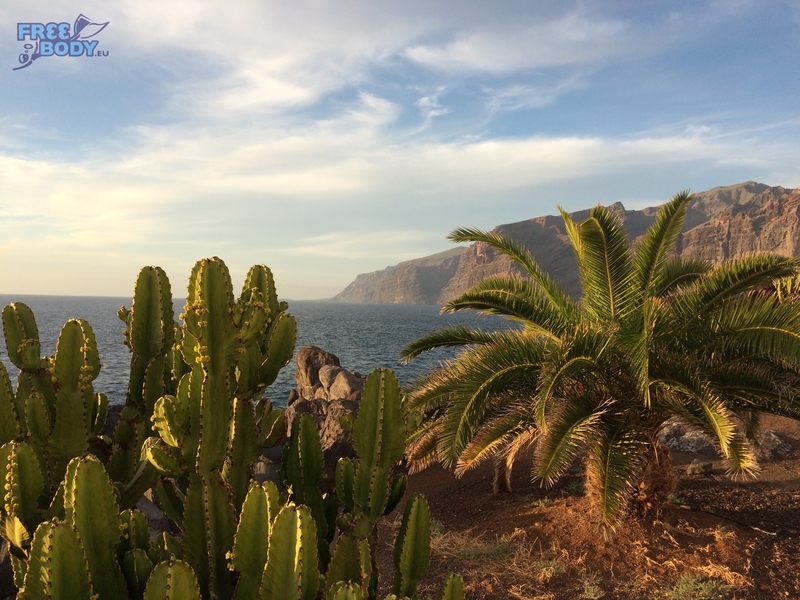 Accommodation and mobility – we suggest accommodation in the Radazul area, where is the freediving center and our training session will take place. There are many studios and also hotels in the area. Prevalent in this region is to rent a car at the airport and giving back at aiport before the departure. If you need additional information or other - let us know how we can help you! Number of places limited - place will be given according to the registraion date with a confirmed payment of the deposit. Send an e-mail to info@freebody.eu with subject: Tenerife course, and we'll send back you all details. *deposit is not refundable in a case of cancellation of participation in the course by the participant. The full amount of the advance payment will be refunded in the case of cancellation of the event by the organizer.